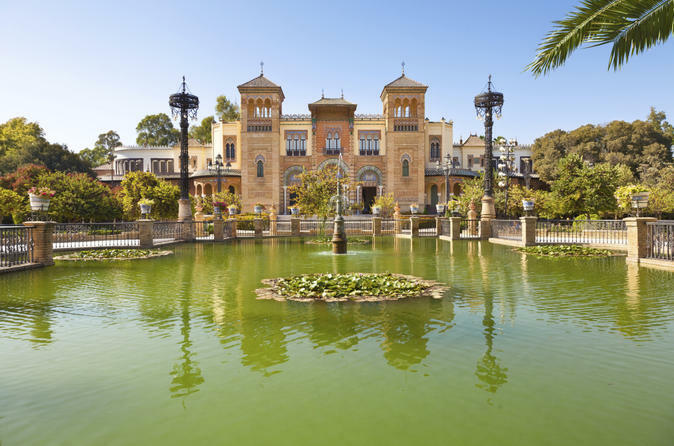 Take time out to tour two of Andalucia's most popular cities, Cordoba and Seville, on a two-day excursion from Madrid. You'll visit UNESCO World Heritage Sites and discover the rich history of this beautiful Spanish region. Departing Madrid, you'll travel through the legendary country of Don Quixote to reach Cordoba. Your city tour of Cordoba's mosque and the Jewish quarter will reveal a beautiful network of streets, alleys, squares and whitewashed courtyards, reflecting the importance of the city in the medieval period. Next, it's on to Seville to take a tour of the beautiful city's many highlights, including the cathedral, gardens and Santa Cruz quarter. Built on the banks of the Guadalquivir River, lively Seville has a rich Arab legacy and colorful local districts such as Triana and La Macarena.